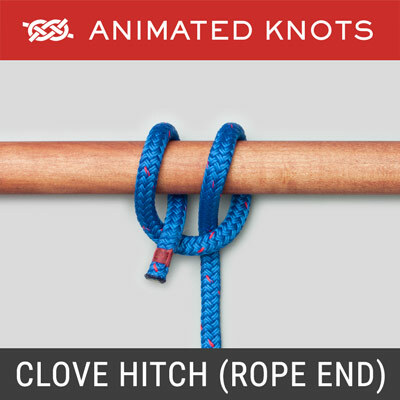 Fold the rope into two bights: a free-end bight and a standing-end bight. Wrap the free end around the standing-end bight two times. Pass the free-end bight through the standing-end bight and tighten. Origin: The Double Dragon is well described by Dave Root who likens it to the "Tugboat B" with an additional wrap. 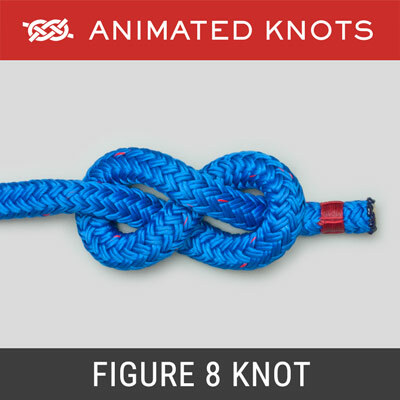 However, it does not appear in Ashley's Book and other authors compare the knot to the Perfection Loop (ABOK # 1017, p 188) and others to Ashley's Double Splayed Loop (ABOK # 1100, p 200). 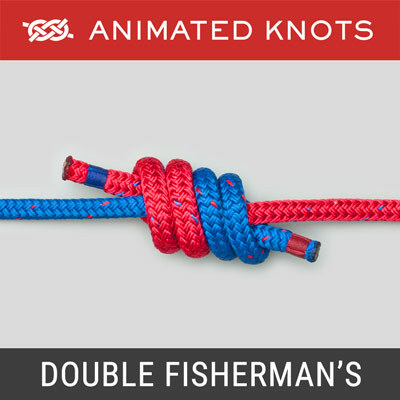 However, neither of these knots has much in common with the double wrap around a bight used here. Uses: The Double Dragon provides an excellent end-of-rope loop which functions as well as other better-known examples. 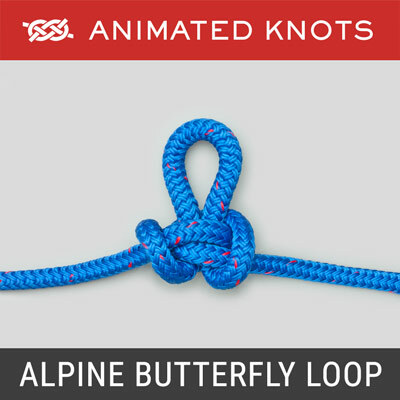 Its use is discussed by the International Guild of Knot Tyers. 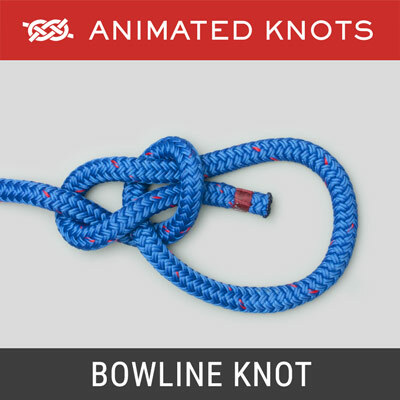 Advantages: It works with high modulus and slippery ropes such as Dyneema and is less prone than the Bowline to shake loose. Even after a heavy load the Double Dragon can be loosened fairly easily: flex the loop to allow the rope collar around it to be pushed back. 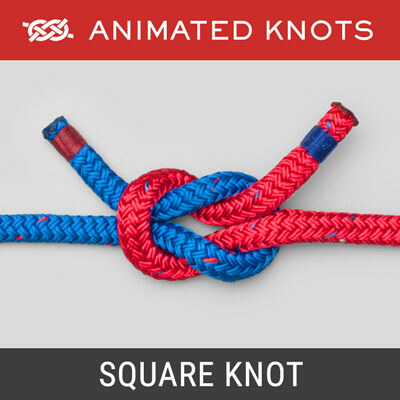 It is also pleasing to tie and the technique may be remembered more easily than some others. Tying it: There are several methods for tying it and it can also be tied around an object.